On November 4th, 2014 Andrew Cuomo won the gubernatorial election for re-election of Governor of New York. Cuomo secured the vote with 54.19%. In his victory speech Cuomo stated, "We began our journey four years ago with some very clear directions. We are going to return stability and make us the progressive capitol of the nation." On November 4th, 2014 Gina Raimondo became the governor of Rhode Island, winning the vote by 40%. Gina Raimondo is Italian American on both sides of her family and has spent most of her life in Rhode Island, the state with the highest percentage of Italian Americans. Gina absorbed her familial traditions of closeness and caring, plus hard work, passion, and dedication and she is now teaching them to her children. Gina is responsible for confronting the state’s $7 billion unfunded pension liability that threatened to overwhelm the state’s budget by enacting comprehensive reform head on. Gina has put forward a comprehensive Jobs Blueprint for Rhode Island that builds on Rhode Island's strengths to get people back to work by working to raise the minimum wage, creating a statewide college scholarship program and developing new road and bridge funding to help cities and towns. In one of the most contested Congressional races in the 2014 midterm elections, Scott Peters defeated Republican opponent Carl DeMaio. DeMaio did not concede to Scott Peters until the Sunday after election night pending absentee ballots that would determine this close race. Scott is Italian American on his mother’s side and his family is from Genoa & Naples. In just a short time in Congress, Scott has proven to be a leader in protecting healthcare, the environment, and crucial services for our seniors and children. On February 1st 2014, Mitch Landrieu was elected Mayor of New Orleans. He won with 64 percent of the vote, a margin of victory that almost matches that of his first mayoral victory, in 2010. Mayor Landrieu is Italian on his mother side and his family were among the large wave of Sicilian immigrants that came to Louisiana during the nineteenth century. Mitch’s ethnic roots and his commitment to the city of New Orleans run deep. His maternal grandmother Olga Helen Macheca and her family lived in the large Italian community in New Orleans and his family has not left the area since. In the past four years as Mayor, Mitch has made tremendous strides in rebuilding New Orleans to its historic grandeur and his impressive victory has demonstrated that the people of New Orleans know he will continue to do great work. On November 5th 2013, Bill de Blasio was elected Mayor of New York City. 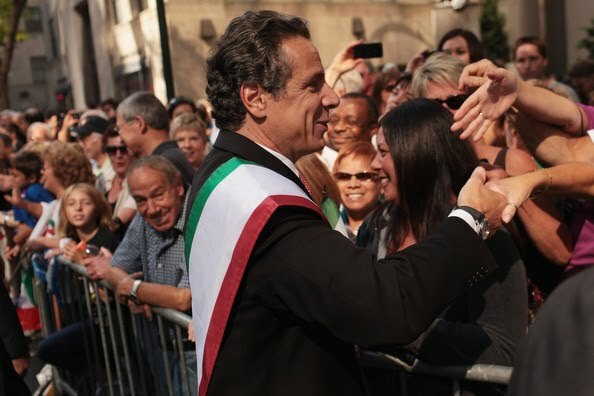 Bill is first Italian American Democrat elected Mayor of New York--ever. We supported Bill since the beginning--back when he was fourth in the polls--and he won the election by nearly fifty points. Bill is a proud Italian American whose family came to the US from Naples at the turn of the century to start a new life and to open a small business in midtown. He has a progressive vision for New York city in which those striving to reach the middle-class can afford to live and thrive. 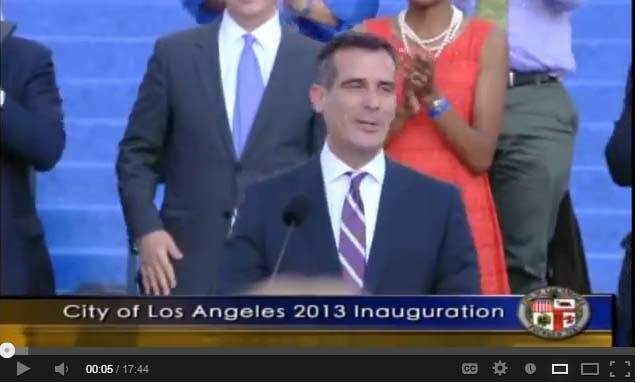 Eric Garcetti was sworn in as the Mayor of Los Angeles on June 13, 2013. At 42, Garcetti is the youngest mayor the city has had in more than 100 years. Garcetti’s ancestors were Italians who immigrated to Mexico and then eventually settled in Los Angeles. As an Italian American, Garcetti understands our values and our commitment to our heritage. The LA Times believes that he is poised to bring a rebirth to the city while creating jobs and being a progressive leader. 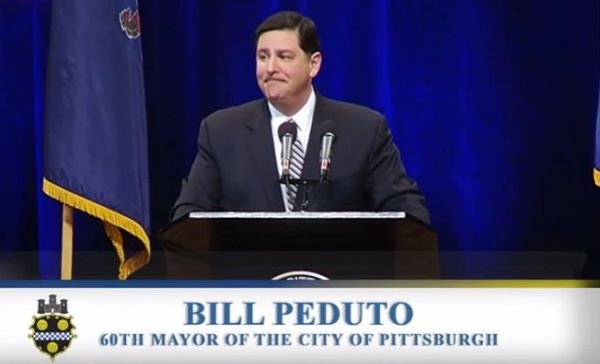 The youngest of four Italian Catholic brothers, Bill Peduto was elected Mayor of Pittsburgh on January 6, 2014. His mother was the first member of the Zarroli family to be born in the United States; her father lived with the Pedutos and doted on his youngest grandson. Sunday Mass and family dinners were mandatory and through them he learned to speak fluent Italian. After a tough Democratic primary, Bill defeated opponents Joshua Wander and Lester Ludwig, winning 84% of the vote.